There are few birds that seem as special to me as grebes - owls maybe, parrots possibly, maybe even kingfishers. But when I was a kid they had a special kind of mystery attached to them. It was a well know story that the RSPB was formed (at least in part) because the demand for ornamental feathers from the Great Crested Grebe had pushed this species to the edge of extinction in the UK, and "something needed to be done". So, every time I saw one (and they were never that common in my neck of the woods) it was a reminder of the possibility of action and success. I have found grebes of all types hard to photograph - too shy, too distant, too willing to sink slowly and unseen underwater and just swim off. So, seeing grebes today - and for a lot of reasons I see them far more often than I did as a kid - is still a bit of treat. 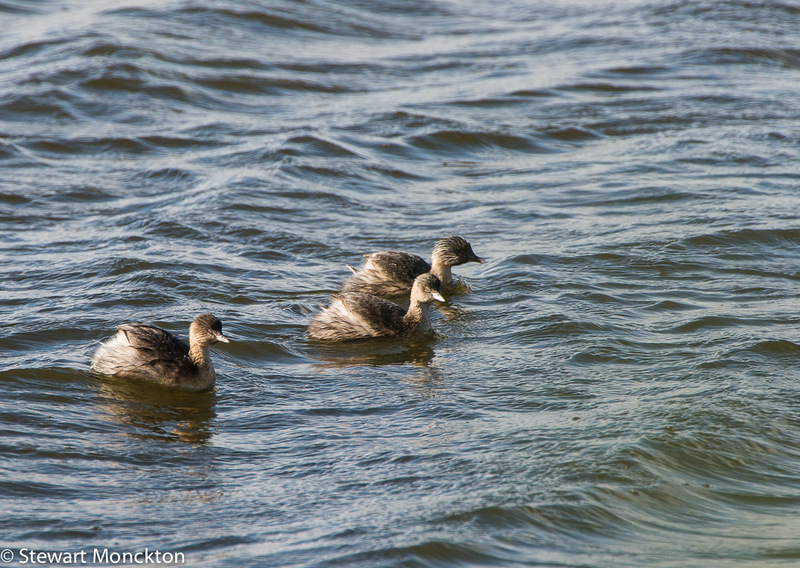 So, here are two species of small grebe - Pied Billed Grebes from Arizona and Hoary Headed Grebes from Australia. i think the last 2 need to be marked as pied-billed. i adore those little guys! I'm also fascinated by Grebes. Super shots of both species Stewart. I think mine is a medium-sized grebe. (I feel like a copy-cat, but at least I had my post written before I saw your (better) pictures. We have the pie-billed in Oregon occasionally. Great captures for the day as always, Stewart!! Hope your week is going well!! HI Stewart Yes I think Tex is correct. 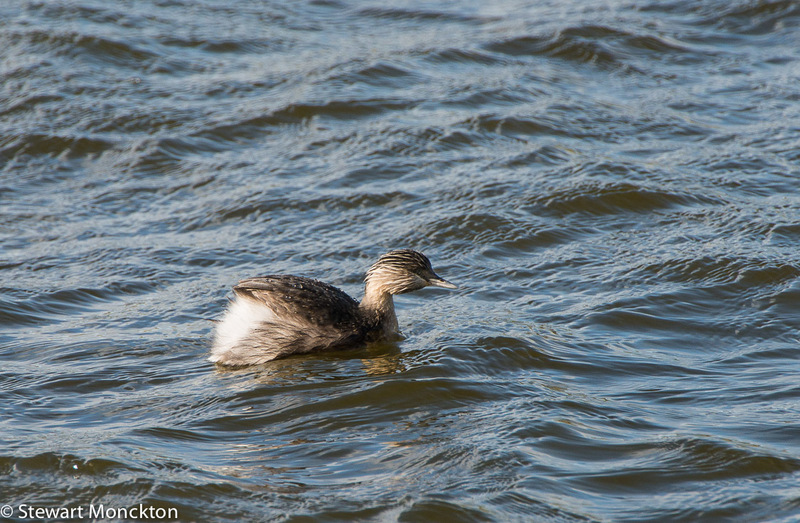 Both these Grebes are really lovely. Thanks for hosting. Nice grebe shots. 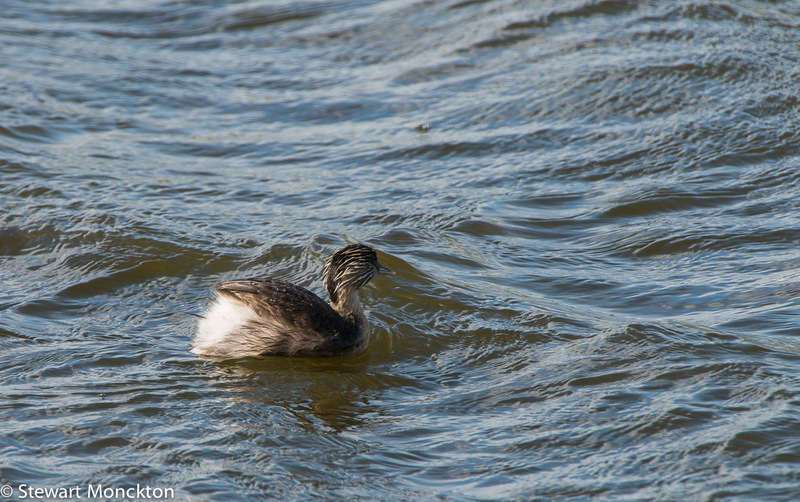 We also have an even smaller Least Grebe, which I once saw in south Texas. I swear I don't understand how people think ... or maybe don't think. Would you ever kill a bird to put his feathers in a hat? Even back in the day, they should have known better, but that is the world we live in. Sad but true. But, I have to say there are those, like you, who share and teach and help people understand the beauty and the necessity of protecting our wildlife ... 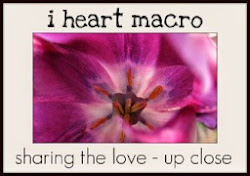 Thanks, Stewart and Great Pictures! heel mooi om ze zo te volgen ze zijn ook al zo gauw groot. I love their eyes. And yes, they are always swimming away! 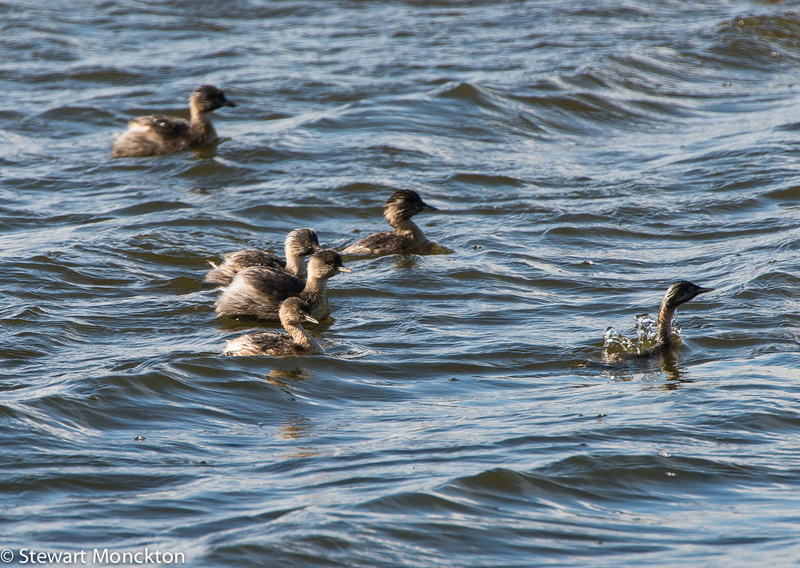 Great photos of the Grebes. I have only managed very distant shots of some. I understand you, my passion are owls which are very successful not to cross my ways. Wonderful photos. Stewart, I love all the Grebes too. They have adorable faces.. Great shots, thanks for hosting.. 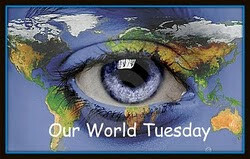 Enjoy the rest of your week! I love Grebes as well. Such solitary quiet birds. I agree, they are difficult to photograph, at least in my experience! This is a new one for me. 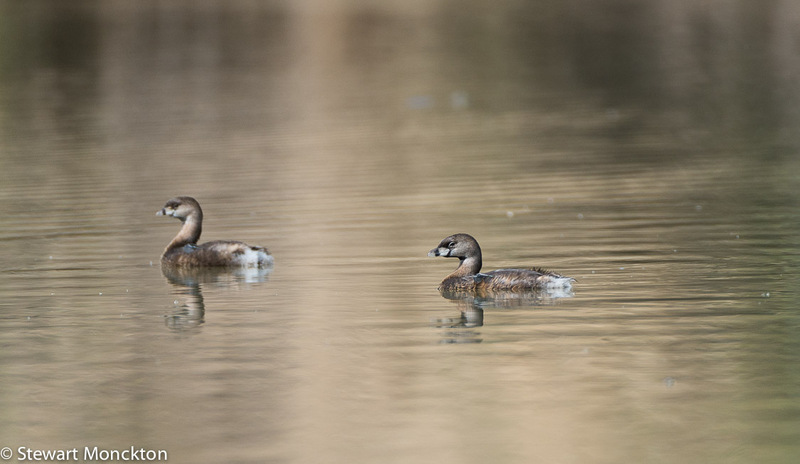 They look very similar to our Pied-billed Grebe. They are adorable birds. It's sad how much damage man can do to animals and their habitat. It's also good to know there are enough people who care and use their voice to bring change. Love the smoothness of the pied-billed. And the Hoary Headed have such a distinctive markings. The misty/foggy setting of the last two shots is very calming. And thanks for being such a cordial host! Beautiful shots... I really like those last two! I found an abundance of Grebes in the Prairie Pothole Region of North Dakota. A waterfowl wonderland out there! Like you, I like those king fishers and owls. No parrots here though! So sorry I'm late Stewart, for some reason I thought that I had already made a comment. I love clouds, trees, and critters. Your grebes are indeed precious. They are all great shots, but love those last 2 the most! They're really adorable with the wet feathers Stewart! Beautiful series of photos, Stewart. The last two are my favorite. They are beautiful birds. Wonderful shots, Stewart. Thanks for hosting WBW. These are wonderful captures. I love coming here and learning about the amazing birds you share with us. Thanks for hosting! I love Grebe's. We have frequent visits from the Australasian Little Grebe when the water is plentiful. Beautiful photos. I'm in love with the Hoary Headed Grebe, superb. auf den Wellen schaukeln sehen ! I always love seeing Grebes. We most commonly see the Western Grebe here, the Horned Grebe, and the Eared Grebe. Well, at least they hung around long enough for you to get some good photos! I had no idea that they were endangered in England. Just beautiful.. regards from Madrid..